Small hotel for sale in Florianopolis - Santa Catarina - Brazil. This is a great chance for any investor to get a grip in one of the most promissing, lucrative and developing markets in the world. This property is a 7 room hotel, specially developed for families, retired couples or any type of people that expect the peace and tranquility of the south island of Florianopolis ,surrounded by fisherman villages,restaurants and lots of nature. Delightful new 12-room guest house for sale in Cousines Cove - Jamaica. else. The realtor is trustworthy and discreet. Beachfront Hotel with lots of options to Expand!!! Available for a short time only. The Tropics Hotel is on the beach in Caye Caulker, Belize. Belize is experiencing huge Growth in the Tourism Industry. This property has huge potential. Caye Caulker is one of the Best Destinations in Belize. Available for a short time and going at a very reasonable price. Make an offer. The Hotel Offers A Spectacular View Of The Caribbean Sea. The Hotel Villa Brinkley is without doubt the most colorful hotel in hotel was built with materials as Honduras mahagony and other native hardwood in doors and furnishings, hand made Mayan relief floor tiles and handshaped roofing tiles. Peggy Brinkley, aged 86 , the matriarch of the Villa Brinkley is an exceptional, extraordinary person. Small charming hotel guest house for sale or rent in Granada, Nicaragua. This property is located in the only gated community(so far) in Granada and is only 5 minutes away from the Central Park. Enormous potential for the future as Granada's tourist visitors are growing each year. The hotel has a unique character, creating a relaxing tranquil atmosphere. A great opportunity in a booming town, in northern Alberta. Serving the Oil and Gas, Forestry, and Farming industries, as well as a NAIT campus accross the street(featuring the only Harley Davidson Tech course in Canada and one of 2 Turfgrass management courses in the country). Fairview is well positioned for growth in the forseeable future. Small family hotel for sale in the heart of the beautiful Rocky Mountains. This property has modern rooms with jacuzzi tubs and a honeymoon suite. The pub seats over 100 with a big brick fire place and games area divided by a horse shoe bar, just newly renovated with Italian granite. For sale by owner. Hotel and Internet Cafe in San Agustinillo, on the coast of Oaxaca Mexico, is a wonderful place to relax and enjoy the quiet pace of life on the beach in a small fishing village. Guests enjoy comfortable rooms offering large ocean view windows facing the sea. Each room has a fan, a refrigerator, and private bath. Casa Kloster is a magnificent, historical and elegant colonial building built in 1890, during the Mexican Revolution. Established as a room and board in 1948 for students attending the Colegio de Guanajuato (known today as the Universidad de Guanajuato). Located on the Costa Alegre of Mexico's Pacific, on the beautiful Bay of Tenacatita in a friendly fishing village named La Manzanilla. This Hotel has tremendous potential. Check the website for more photos and information. "HOTEL PUERTA DEL MAR",LOCATED IN "SAN JUAN DE ALIMA" MICHOACAN---THIS IS JUST 1 1/2 HOUR SOUTH OF MANZANILLO--- THIS IS A VERY SAFE 4 MILE STRETCH OF BEACH WITH NO DROPOFFS. FISHING IS GOOD,and fishing trips can be arranged with our own boat!! THIS IS A TRUE GETAWAY OFF THE BEATEN PATH,YET,AS THE AREA is ATTRACTING A LOT OF INVESTMENT,AND MUCH BUILDING. The well established Villas Don Blas, located in Tonala, Mexico (at the outer edge of Guadalajara) is a fantastic investment opportunity. This prime piece of Mexico real estate could also be the life change you are looking for. 26-Suite renovated Apart-Hotel in the heart of the Downtown Buenos Aires area. The Hotel features 26 loft-style suites with kitchen, dining area, full bathroom and Queen size bed. In addition, it features high speed internet and cable TV in every room, as well as safe and modern telephone system. Situated at only 12 Km from the city center, near the Moon Valley, the Hotel has the reputation of being very quiet and calm. Its environment and its sunny garden make it a real Oasis near La Paz. Unique opportunity to obtain this prestigious property considerably below market value. Unfortunately ill health forces the sale. The Maasai whilst making a healthy profit is not being operated near its potential. With its tranquil locale The MAASAI offers a comfortable home in a beautiful setting together with a profitable business. A high quality hotel in the historic centre of the Colonial City of Ouro Preto, listed by Unesco as a World Heritage City due to itâ€™s unique concentration of baroque architecture. Do you know BÃºzios? Have you heard of the Pousada do Martin Pescador? For nearly 50 years now, BÃºzios has been the chic-est, the most cosmopolitan, the most sophisticated beach resort on the entire South American continent. For general orientation purposes, think of on the French Riviera or think of Easthampton, Long Island. Hotel Posada La Mandragora is a 4**** Resort Hotel in Brazil's most beautiful and cosmopolitan beachtown, famous for its 23 different beaches and marvellous year-round climate. Construction: 4.400 m2. (46,200 sq. This beautiful property is located just 40 yards from the best white sandy beaches in the island, same area as traditional Hotel IsleÃ±o and Hotel Tone. A new pedestrian walk has recently replaced the street in front of the beach transforming this area in to the most attractive area of the island. The new convention center is planned to be built in front the property. A beautiful Colonial Mansion, a well known monument, is now for sale in the historic centre of Lima-Peru. The Peruvian Government already approved the plans (anteprojecto) to change the use of the Mansion into a small, nine, luxury suites hotel. Without loosing the historic caracter of the Mansion. Located in Bikini/La Barra, surrounded by a pine wood, with a spectacular view of the ocean. Only 10 minutes from Punta del Este's down town. This hotel caters to both business and vacation travelers alike. Comfort is guaranteed on each of it's suites, with solid - oak polished furniture, and wide wooden balconies overlooking to the sea. Largest CASINO/HOTEL in South America. Located in Punta Del Este, Uruguay know as the Monaco of South America. The property consists of approximately 30+ Hectares (~74+ acres) of pristine beach front land and another 150+ hectares (~370+ acres) behind main road. 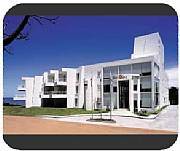 This thee star hotel is located in one of the nicest parts of Punta del Este, just above the marina (16 restaurants in a radius of 300 meters), and just around the corner from the lighthouse. It is 2 blocks away from the beach (Playa de los Ingleses) and Avenida Gorlero (the main shopping drag). We are delighted to announce that this project has now been sold. We wish the new owners every success and happiness in their new venture in the sunny Turkish Aegean. For information about similar turnkey projects we have planned or if you have an area of Turkey you are particularly interested in moving to please feel free to contact us for an informal chat. Hotel and Restaurant for sale. 37 Rooms, can add 20 more rooms.